BCRC had an interesting time at the Emergency Services Show 2018 held at the NEC Birmingham on 19th and 20th September. 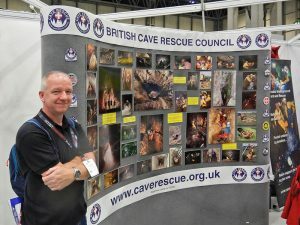 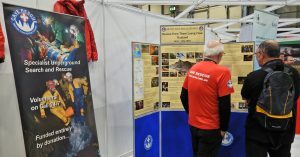 Members from several Cave Rescue teams looked after the stand for the 2 days of the show. 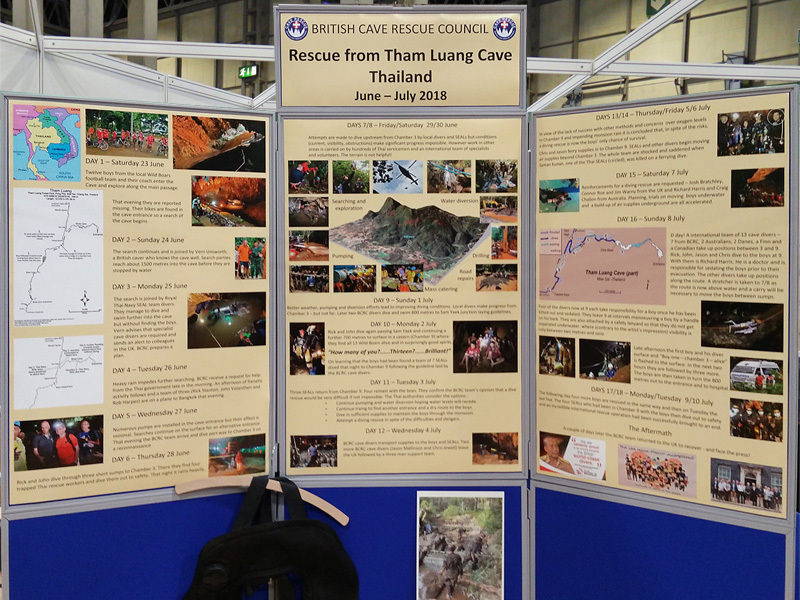 A display board featuring a timeline of the Thailand cave rescue proved of great interest to the many visitors to the stand. 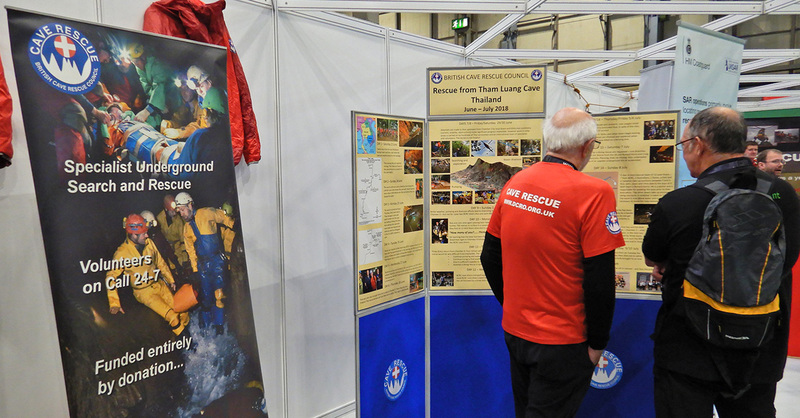 On the second day, the event organizers managed to find a space in the lecture programme to allow BCRC Vice Chair Bill Whitehouse and Rick Stanton (one of the divers who found the children) to give a brief account of the rescue.